Your pool is a place of fun and beauty. But a swimming situation can turn into a tragedy if precautions aren't taken. You keep it clean and do regular maintenance and repairs on it--why not go the extra mile and learn about the causes of drowning? We're going to teach you some things you'll probably never need to know. Probably. But, they could save your life. AVIR stands for Aquatic Victim Instead of Rescuer Syndrome. It is a common condition in which a rescuer attempts to save a drowning victim, only to be drowned themselves. The problem is that a drowning victim is in a state of panic and will scramble onto anything to keep from sinking, including his would-be rescuer. The topic of today’s blog is what is drowning and how to save a drowning victim without becoming a victim, as well. Lifeguards carry floatation devices so they don't become an AVIR. If any of these affect a swimmer, it’s easy for them to get in trouble while swimming, even in a swimming pool. We all think of drowning as caused by water in the lungs, and while even a small amount of water in the lungs can compromise breathing, drowning is caused by water against the larynx. The larynx is your voice box. 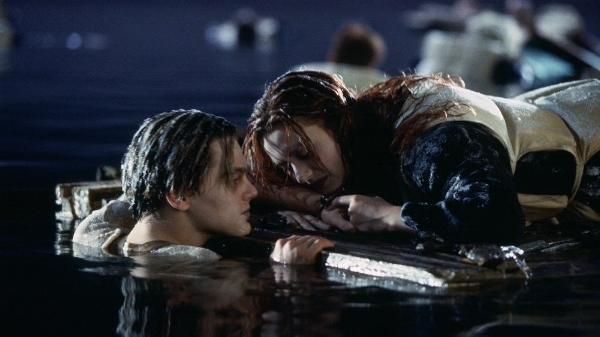 So, most drowning occurs in a person’s throat, and doesn’t involve the lungs at all! The water causes the larynx to spasm, which seals the throat from allowing air (or water) into the lungs. Drowning people are quiet. They do not shout, “Help! Help!” Often, they appear to be swimming a bit badly or vertical. Sometimes, they’ll even wave for help from others who may be on the shore or boat, and the person on dry land will wave back! If there is any doubt, look at the swimmers face. People who are drowning have panicky faces. Because of the reduced mental capacity of a drowning person due to panic, the rescuer has to be the one to remain calm. It’s essential to remember to only get in the water as a dead last resort. Oddly enough, rescuers need to call for help first. Rescue is always a team effort because no matter how the rest of the rescue plays out, the rescuer is going to need help. It’s easy to panic and forget this first step, but it’s crucial to have a medical backup regardless of how well the victim responds to the rescue. So, before a rescuer turns his attention to the victim, he must secure help. The distance of the victim from safety is the second consideration. 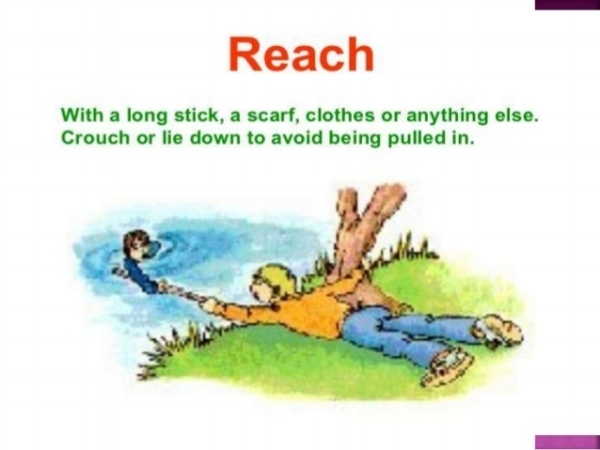 Examples of rescue aids are such things as an oar, pole, life preserver, ball, stick, boogie board, rake, rope, or anything else which can help the victim float or be pulled to safety. Ideally, the rescuer remains dry. A heaving jug is a homemade throwing rescue device. A school-age child can save an adult from drowning if they can throw a heaving jug. It’s a great craft for kids to make while you teach them about calling for help and staying dry during water rescues. Tie the 40-foot rope to the handle of the jug. Have the child practice throwing the jug past the person who they’re ‘saving’ in the yard or park. Show them how to keep hold of the end of the rope, stay low and lean back during the ‘rescue’, so they don’t get pulled into the water by the victim on the rope. The point of this craft project isn’t just to teach a child an easy rescue. It’s also to teach them to call for help first and not to get into the water to try to save a drowning victim. This craft becomes a helpful lesson because dry rescues are always the first choice, even for an adult.